Coloring Without Borders: Any bounce for independence? Over the past two weeks, sales of haggis skyrocketed as much as 80%. Whisky sales increased 30%. And consumption of the nation's favorite soft drink, Irn Bru, increased by 15%. 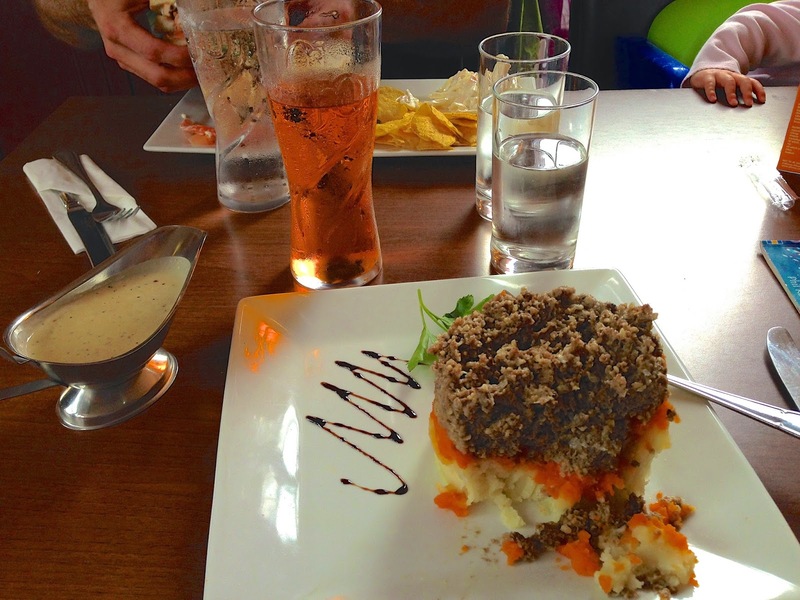 My haggis and Irn Bru lunch from several weeks ago. All this, of course, because Glasgow was hosting the Commonwealth Games. Team Scotland captured its highest number of medals ever (53), ranking in fifth place. Scotland has been on display across the Commonwealth nations. The weather was exceedingly good (for Scotland). Games-related tourism has boosted the local economy. Scottish pride naturally has been exercised as the nation competed against the other Commonwealth countries, most especially the auld enemy, England. As the games drew to a close on Sunday, the question vexing the politicians is whether the Games will provide much of a bump in the polls for Scottish independence. I've written previously about Scotland's upcoming September 18 referendum, asking a single yes/no question: Should Scotland be an independent country? Polls have shown a consistent lead for the "no" vote, though that lead has dipped a little bit over the past several months. Most voters seem to be basing their decision on economics, or how they think the economics will turn out, a point on which the "no" campaign has played hardball quite effectively. Current polls show the "no" vote in the lead with roughly 46 to 48 percent of the vote. The "yes vote garners 39 or 40 percent. That leaves approximately 12 to 14 percent of the vote undecided. No one was naive enough to think the Commonwealth Games would provide a major boost in the polls, or even necessarily a bump that could be traced to it. But the Games have provided an economic boost, not to mention the hundreds of millions of pounds for construction and infrastructure improvements preceding the event. Glasgow's metropolitan area produces about one-sixth of Scotland's economy. The Games have increased pride and patriotism and confidence. And they come amidst a slightly brightening economic forecast generally, as well as other upcoming events like the Edinburgh Festival and Edinburgh Fringe Festival, the Ryder Cup, the World Pipe Band Championships, and so on. Moreover, the "yes" vote is receiving a tiny uptick. Undecided voters have been asked whether the Games will have any impact on their vote. Of those undecided voters, 14% said the Games have made them more likely to vote "yes," while only 4% say it has made them more likely to vote "no." That tiny uptick from undecided voters, however, isn't about to sway the tide. I think it's still a little early to see a Commonwealth Games boost. Pollsters may be jumping the gun on trying to get a read on the populace's psyche. It takes a while -- certainly more than a day or two -- for renewed confidence (if any) to be expressed on political questions. These kinds of events can have a lasting halo effect. 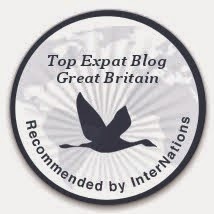 Two years on, Brits wax proudly about the 2012 London Olympics as a showcase for the nation. 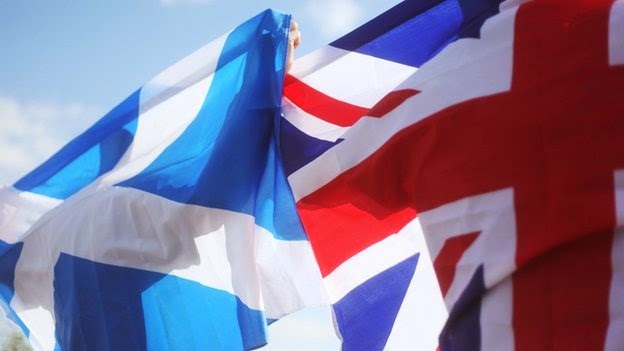 The pollsters are trying to measure the Games now, though, because tonight will showcase a major television debate between the leader of the "yes" movement, Scottish First Minister Alex Salmond, and the chair of the "Better Together" campaign for "no," Labour MP Alistair Darling. If the pollsters see a swing in their polls after tonight, they'll likely (and possibly correctly) attribute the swing to tonight's debate. Scottish nationalists are hoping Salmond, their fiery and witty leader, will shine in the debate tonight and move the polls. Those against independence don't need much from Alistair Darling, only that he neither embarrass himself nor provide anything incendiary for the opposition. The major political parties -- Tories, Lib Dems, and Labour -- are all united against Scottish independence. Although they've consistently led in the polls, they're leaving no stone unturned. Just today, they announced that if Scotland votes "no" on independence, it'll be granted a new devolution of powers. Assuming Scotland remains part of the United Kingdom, it will receive increased powers of taxation and more control over some social security programs. The independence referendum is just over six weeks away. Will the "yes" vote get a bounce this week? We'll know soon.